Basic pointing instinct: an interview with lab man John Greer. Developing a good “Dead Bird” dog. With the hunting season on us and many of us out chasing wild birds, the need for a solid “dead bird” finder is a real thing. However, one of the most common mistakes made when trying to develop a dog to have the tenacity to stay in a given area and search for a downed bird, is to start trying to teach it to the dog without you truly knowing you have a “dead bird” for him to find in the first place. I cannot count how many times I’ve been out and heard someone start asking a youngster to hunt dead, etc without this person actually knowing if his youngster was truly going to have a bird to find. I make the correlation to the art of developing a strong dead bird finding upland dog to the “retriever” realm of developing a good “blind” retrieve dog. 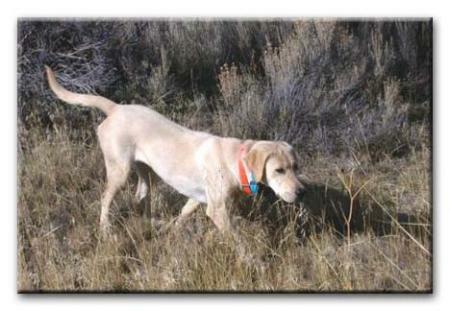 While training a retriever to do a blind retrieve, you wouldn’t “maybe” have a bumper or object to retrieve; you’d have your objects out there. And, if you wouldn’t send your young dog in training on a “maybe” blind retrieve, why would you ask your upland dog to “hunt dead” for something you are not sure is there? Generally it happens like this. Bird is shot and brought to the ground. 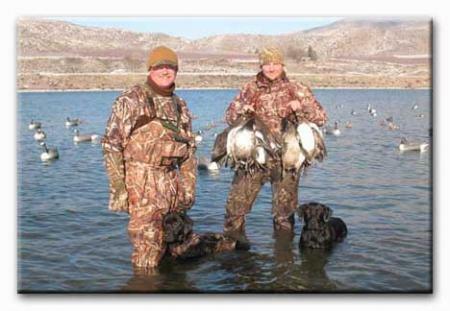 If the dog was not in a position to see the fall, the hunter takes his dog to the area and starts asking him to “hunt dead”, dead bird” or any of the number of different commands used to have a dog try to locate a downed bird. All you truly know is you think you have a bird down. If you are hunting a youngster, why start trying to train until you are positive about the downed bird. If all you’ve done is broke a wing and the bird is now 200 yards away, without decent scenting conditions, you will not, without luck, recover the bird. So your young dog is trying to handle in the area, is trying to locate the bird for you, he’s working the area over and over again, and now without succeeding in finding anything, in a short time, he’ll give up and end up not paying much attention to the hunter. When we drop a bird that, for whatever reason is not marked by a dog, we go to the area and start to look ourselves. Of course the dog comes into the area and is “hunting”. At this time we are not giving any commands to the dog, we are looking for the downed bird and the dog is hunting in the area. If we locate the dead bird first, we then start using/teaching the dead bird command and now the dog will be successful in locating a “dead bird”. If the dog, while we are in the area looking, locates it first, pointed or not pointed, we then start using/teaching the command “dead bird”. Either way, the dog is successful and starts to correlate the command with finding a dead/crippled bird. Success builds trust.